On Friday morning the weather report had me smiling. 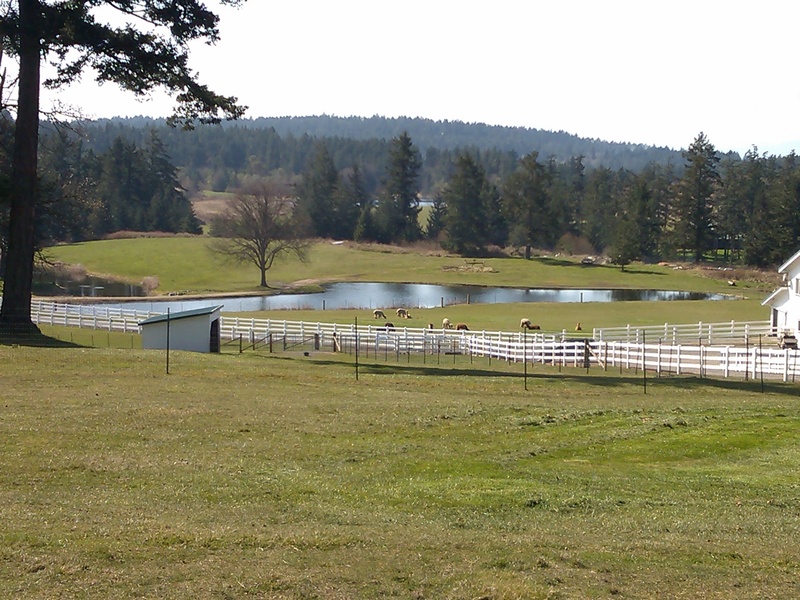 What better way is there to begin the Easter weekend other than in the sun warmed San Juan Islands. I was up early and headed to the Anacortes ferry dock by 6:30 Friday morning. Unfortunately there was thick fog which I hoped would soon lift. With my truck parked in the lot, and my bike lashed to the ferry, I was on the 8:30 westbound boat. 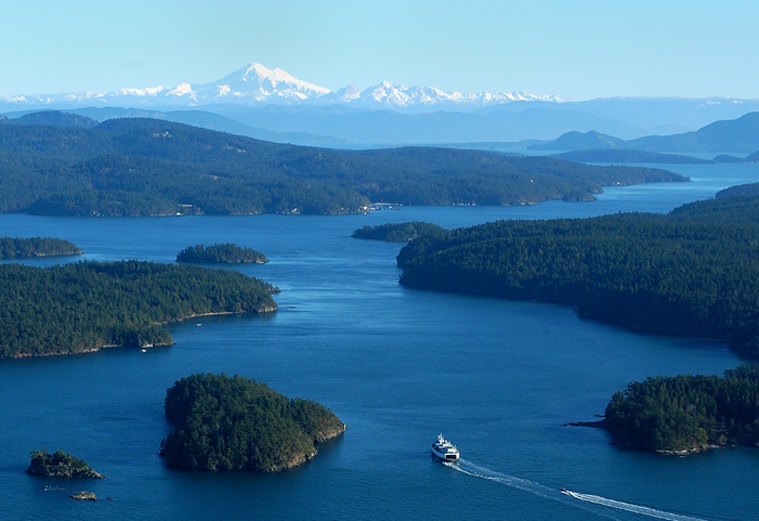 I found the photo above on the web and thought it would help you appreciate the beauty of the San Juan Islands and surrounding area. I met a couple interesting people on the ferry ride and enjoyed a great conversation with Tony and Lis from New Jersey. Tony came to the US from Peru as a child and Lis was from Puerto Rico. Their weekend destination was Victoria, BC where they planned to enjoy this sunny Easter weekend. As I was writing this story a couple days later, Tony contacted me to tell of his brand new AnthonyTravels.Wordpress.com page. I will be keeping an eye on this one. The fog thinned but still limited the view substantially. This also slowed the ferry ride as the captain throttled down the engines to avoid a collision with unknown obstacle lurking beyond. 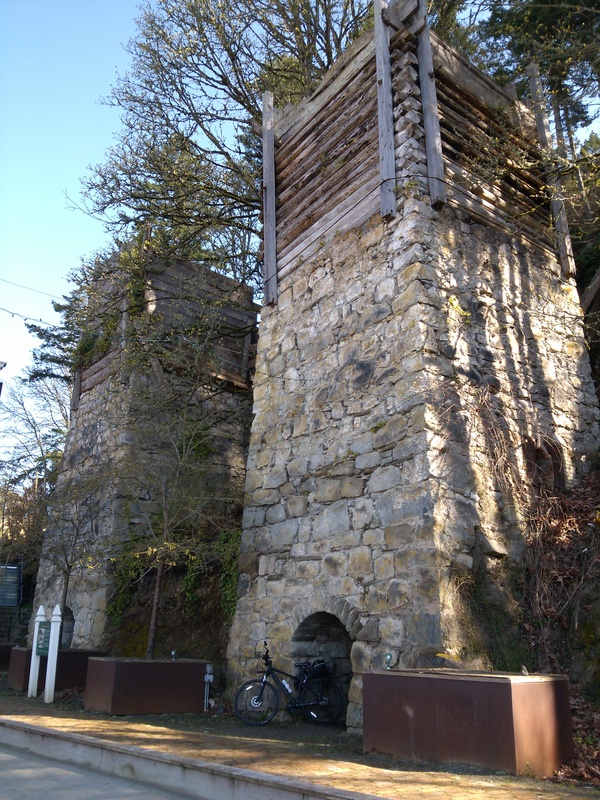 I exited the boat in Friday Harbor and started pedaling. I elected to tour the island perimeter clockwise and check out the southern tip first. 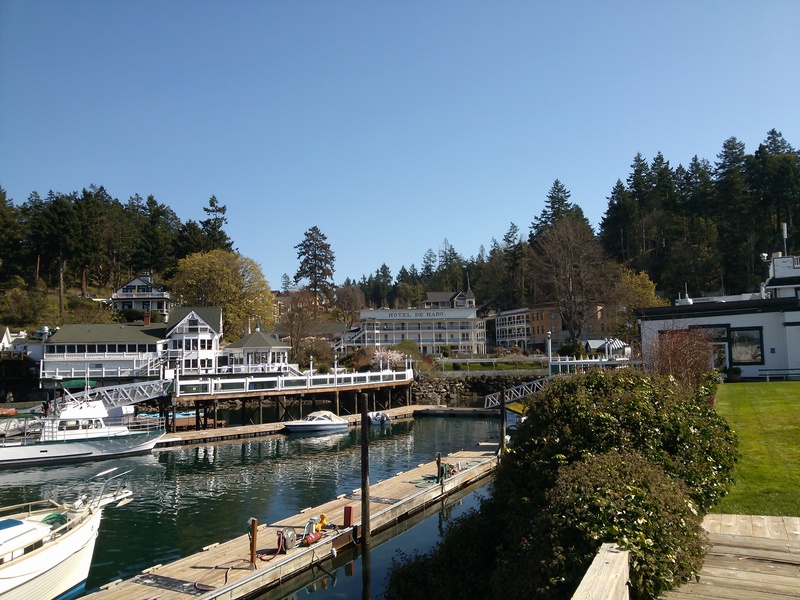 For those of you that have not visited Friday Harbor, I highly recommend it. It is largely supported by the tourist industry and has a variety of shops, restaurants, and other fun things. The downtown buildings faded in my mirror and I was soon traveling through the open fields and countryside. 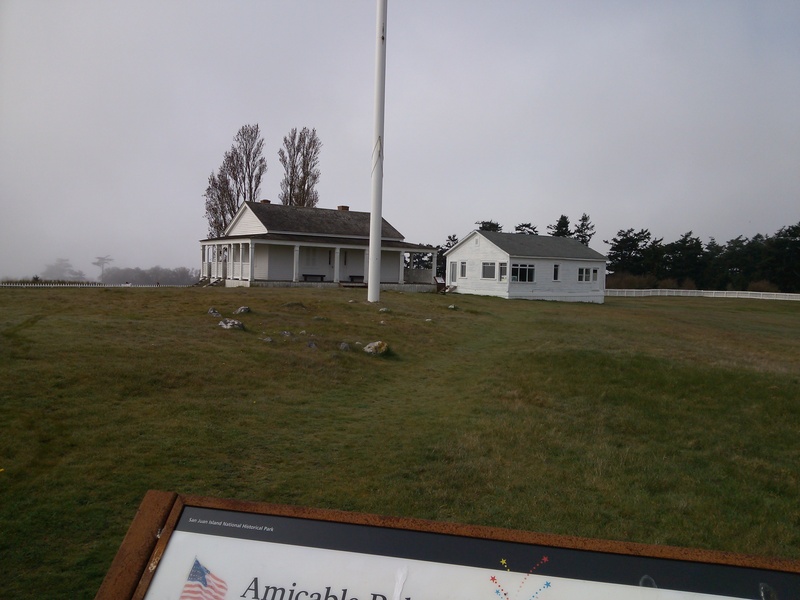 I entered the National Historic Park, American Camp as I neared the southern island tip. This area was a US military camp from 1859-1872. 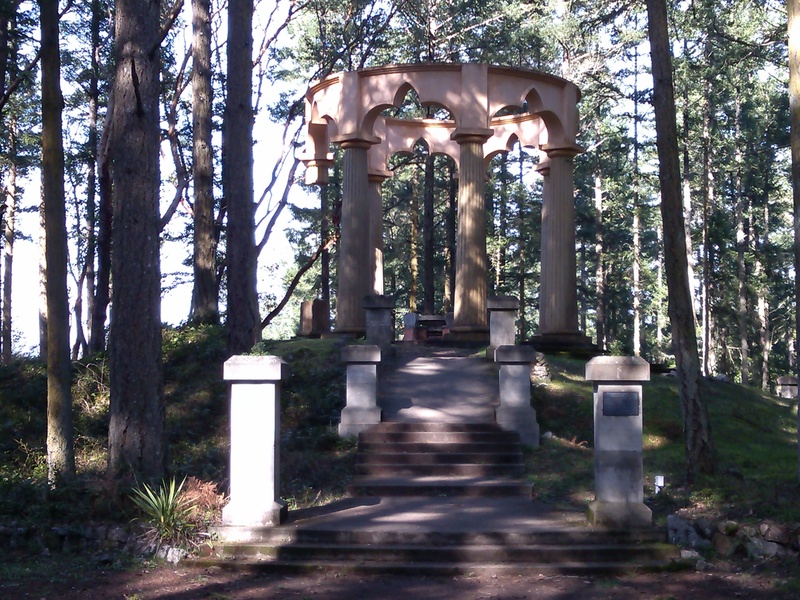 San Juan Island has some very unique history. For twelve years the US and the British each had a military camp on the island, separated only by several miles. Each side was there to protect their contry’s property interests. Both sides claimed ownership of the island. Things got very heated and nearly resulted in combat between the two forces after a pig was shot for tearing up a garden. 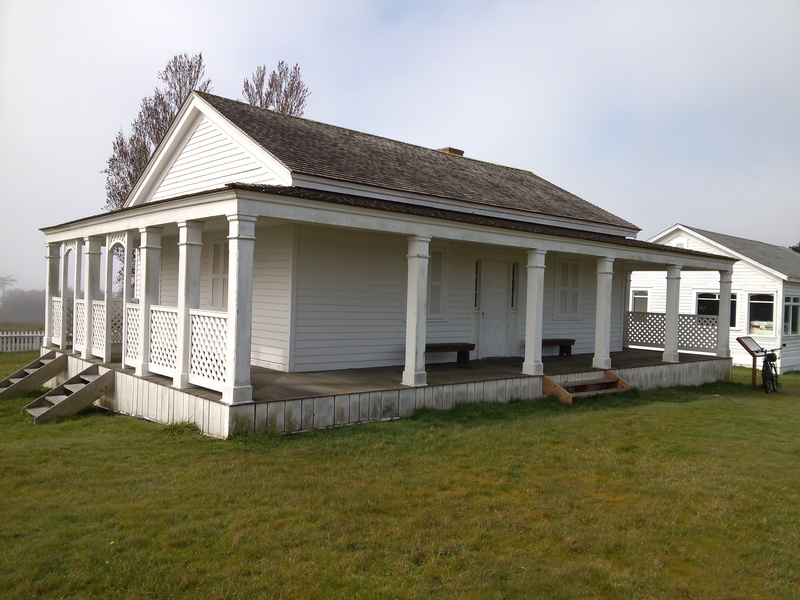 I took a few side trips to look at various old buildings and sites that were part of the American Camp. There are many information boards throughout the site that tell of the history and to display photos of the once bustling camp. 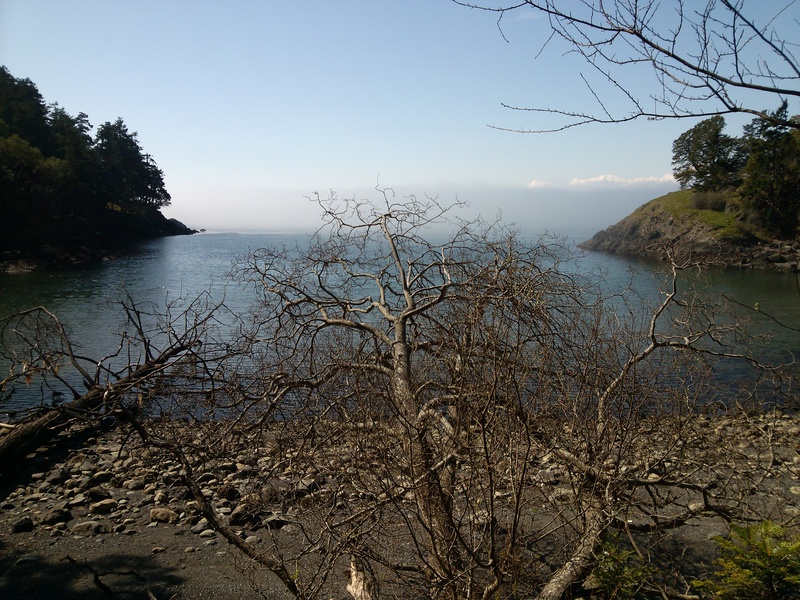 Unfortunately the fog would not allow me to see if there were any grey whales negotiating the saltwater around Cattle Point. I headed back north until I hit a westbound road that follows the island coast. I was teased by clear sky as I hit a few hills but was back in the fog when the road dipped down toward the shore. 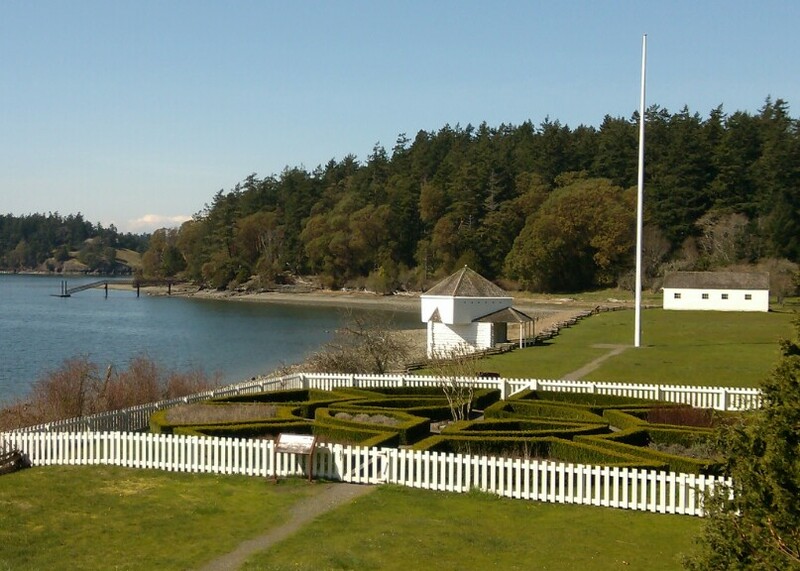 I took a side trip to check out the Lime Kiln lighthouse. It is about 1/2 way up the island on the west side. It has been many years since I have been in this area and knew it had a lighthouse worthy of photos. This is also an Orca whale pod tracking station that will let you know where the whales are and when you can expect to see them in the area. It is a little too early in the year to typically see them now. Today the whales could have been 25 yards off of the shore and would be well concealed in the fog. I headed back down the road and took another side trip at the San Juan County Park. This park is located in a beautiful cove. After taking a few photos and filling my water bottle, I headed back out. The fog lifted as I stopped at the British Camp. The American Camp may have had the better tactical position but this camp was much nicer looking. The hillside once had several buildings on it which housed the commander and officers. It would have been prime view real estate that allowed for them to observe camp activity and the waters to the west and north. Before I knew it I was entering Roche Harbor. By now I was down to a light shirt as the sun covered me. 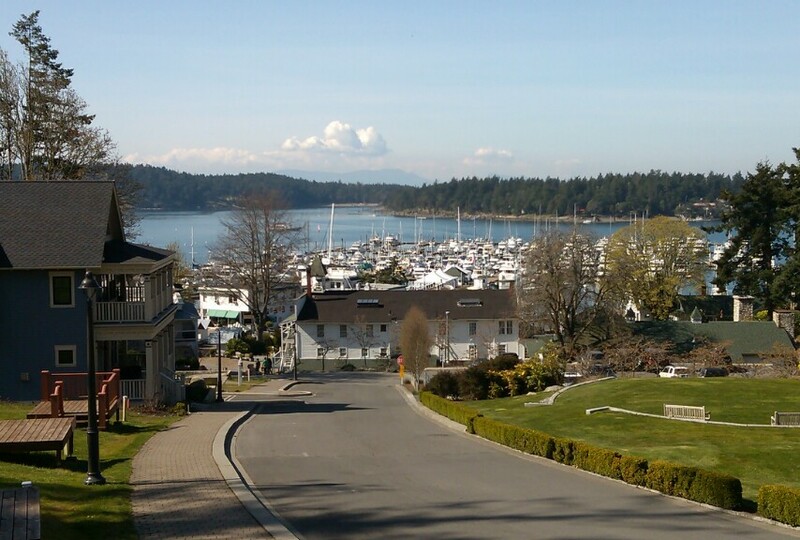 I love Roche Harbor. It holds many fond memories of being here with friends and family. It has changed much over the years. Where once stood a very old and broken down home now has many high end condos. I made my way down to the marina and looked for a place to get lunch. During the summer this place is buzzing with activity. There was a very relaxing slow pace feel to the place now. I found a café and laid claim to a sun soaked picnic table with a view of the marina. I did my best to replenish calories with an outstanding pulled pork sandwich and fries. I tootled around town taking a few photos and talking to people I met. If you come here plan on at least half of the day to check out the many sites. One day I hope to stay in the old Hotel De Haro which has an incredible view of the harbor. 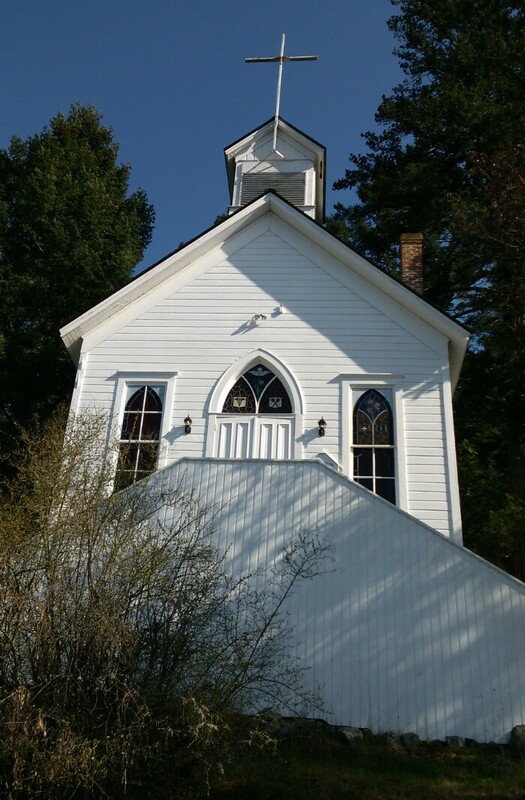 On the north side of town one of the founding families built a mausoleum on the hill. When it was built the trees had been cleared which would have provided a panoramic view of the harbor and surrounding waters. 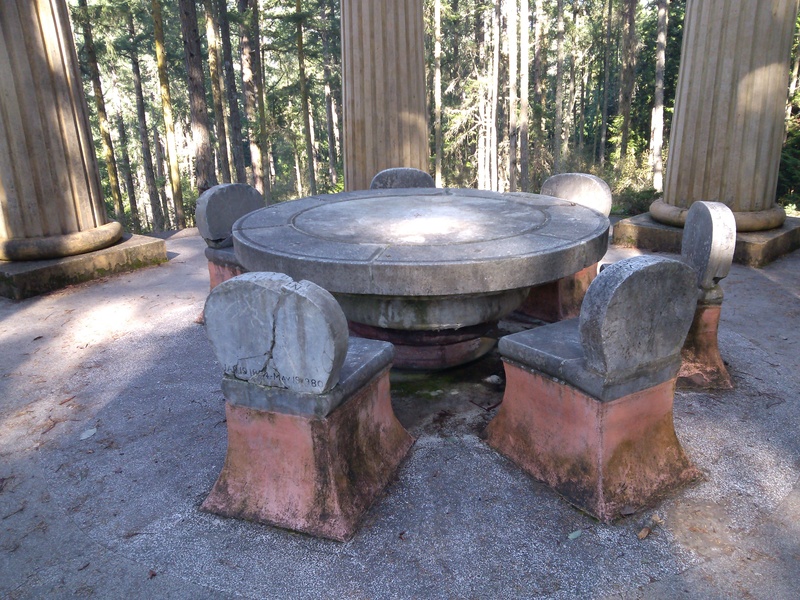 Each chair at the round table is a marker for one of the family members. I would have loved to stay longer but knew I needed to finish the island loop and head back to Friday Harbor for the ferry ride home. I found yet another photo opportunity along the way. 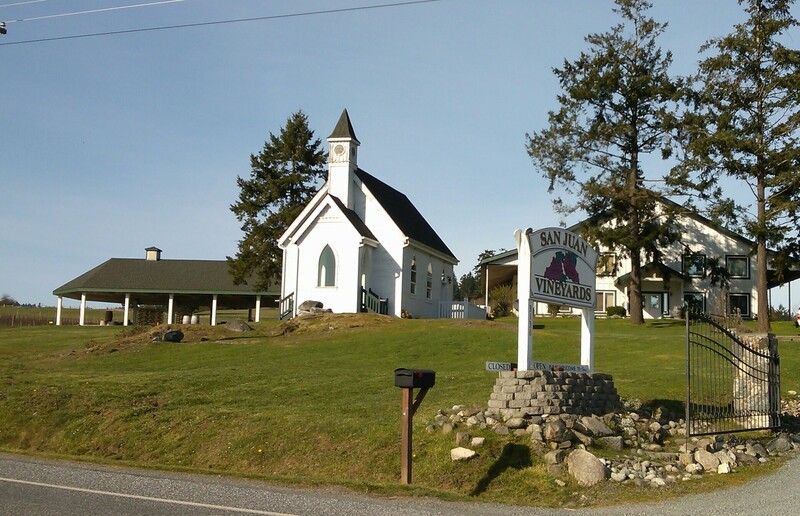 The only schooling done here now is that of wine making for San Juan Vineyards. 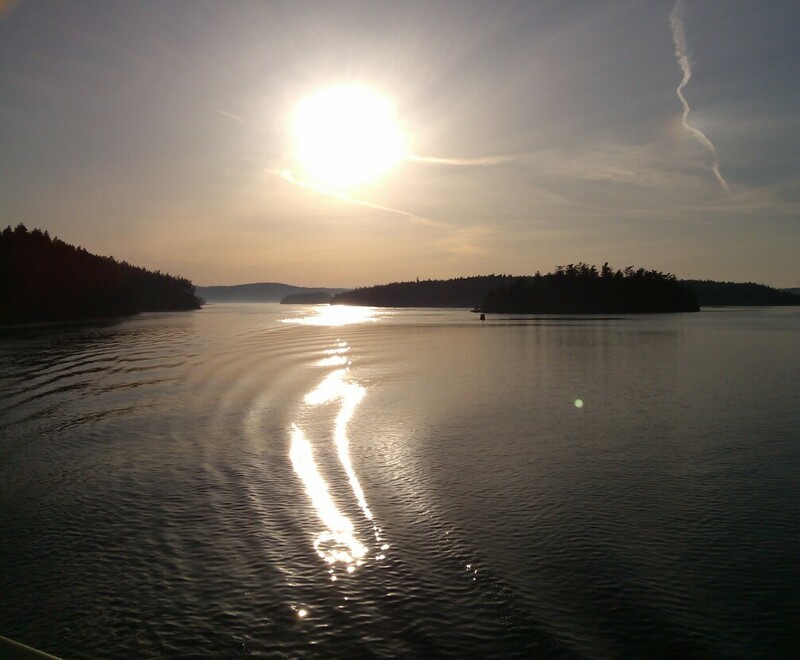 I enjoyed the ferry ride home as the sun moved low in the west sky. Days like this remind me of how much this life has to offer and be thankful for. 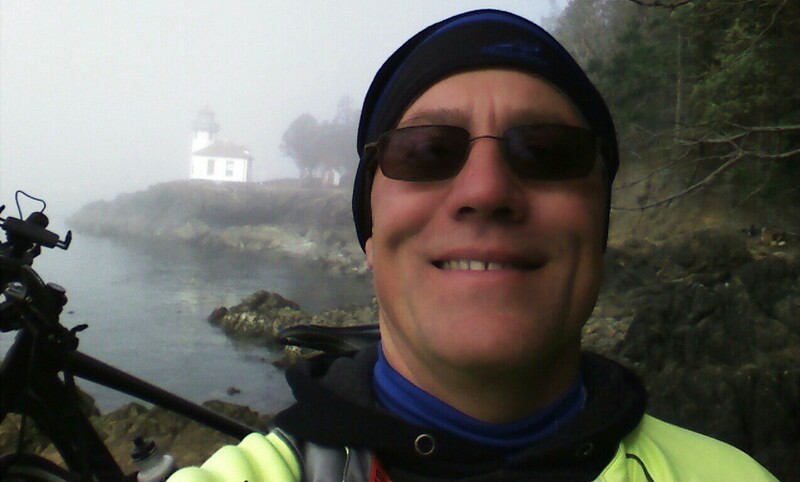 This entry was posted in Bicycling, Friday Harbor, National Parks, Photography, Roche Harbor, San Juan Islands, Washington State, Washington State Ferries. Bookmark the permalink. What a day for a ride. That is a great loop to ride with incredible scenery. Where did you have the pulled pork? Was it the cafe’ nearest the marina? If so, I have had some good breakfast there as well. Dude, you’re an animal! It took me two days to cover all that ground when I was up there a couple of months ago. Hey, I’m rolling out in just a few minutes for a van, bicycle, photo, video, camping, ferry boat, history exploration kind of adventure… till next time. The café was the one you referred to Jack. Good food and great service. Have fun Jeff. I can’t wait to read about your adventure. The pictures you take are beautiful! The San Juan County Park and the sunset pictures are my favorite. These pictures are making me even more excited for the warmer weather…that is taking it’s time to get here. Not that I’m complaining. :) Hah! Bummer on not being able to see the whales. Maybe a good excuse to head back to that area later in the year. That would make for a cool experience. Thanks for sharing your adventure! Thank you S. I’m happy that you can appreciate and share in the experience.